You can read or download the digital version of OutGuide757, Hampton Roads’ only LGBTQ resource directory. You can also pick up your free hard copy at dozens of area locations. You can add your business or organization to both our online and annual printed directory online. Click here for details. Contact us for FREE HIV Testing, FREE Condoms, Pre-exposure Prophylaxis (PrEP) & more… Like our page & stay up to date with current HIV/AIDS news & articles. As an existentialist and humanist, I welcome you to join me as we explore the journey and create a positive way of being. I have been in practice for over 20 years and provide individual, family and couples counseling. I have experience working with LGBTQ individuals, families, and couples. I have assisted many in the transitioning process. I can assist with depression, anxiety, low self-esteem, negative thoughts, illness, loss and letting go of old patterns that no longer fit. I would be honored to meet with you and assist you in moving forward. Do you have a feral cat colony breeding near your home or business? Don’t let them breed or be killed in an urban world, let us help! We can TNR (Trap/Neuter/Return) healthy cats to live their lives vaccinated, WITHOUT reproducing. Do you have ferals that you think COULD be housecats or feral kittens under 16 weeks? We can help socialize them and find them homes. Do you have a cat/kitten on your property that you don’t want? Let us find it a home! Pregnant cat and don’t know what to do?! We can help you deliver, raise, and find homes for the kittens. Want to have cats that live 20 years?! We can help you change their diet and lifestyle to accomplish just that!! Contact us for cat and kitten help at billythekiddenrescue@gmail.com We currently do not have a facility for visiting our kitties, but we hope to one day have a World Class cattery with an on staff vet and enough land for ferals who can not be returned to their trap location. Our goal at the Brick Anchor Brew-House is to provide you a home away from home while bringing you the world one glass at a time. Our knowledgeable staff will assist you in selecting the perfect beer to compliment your meal…. or to just enjoy all by its frothy self. Although you might come in for the beer or live entertainment, you’ll also stay for the food. Our thoughtful menu selections will be a blend of international, national and Hampton Roads…much of it paired to our beer on tap to heighten your experience. You’ll enjoy your beverage and food of choice in a historically-rich building with all the conveniences of today that we know you’ll expect. There might just be a few surprises too…. Historic Private Estate specializing in intimate weddings, private parties and country retreats. Law practice focusing on estate planning and administration, contract law, business law, and general legal needs. Award winning locally owned Countryside Gardens is located in Hampton Virginia. We are a garden center, gift and women’s boutique. We offer a full line of lawn and garden products in our “Garden Pharmacy”. Organic products are a specialty. A Virginia Certified Horticulturist is on duty as well as our Landscape Designer. Offerings include Herbs, Vegetable Plants, Perennials, Trees, Shrubs, Houseplants, Flowering Annuals and most of all great service and decades of knowledge. FREE space for meetings and special events is available to the community. Welcome to Coastal Virginia LGBTQ! With COVA-LGBTQ you’ll have the opportunity to connect with others in the community at events in the area. DISCLAIMER: Most of the listings in this directory are user submitted. 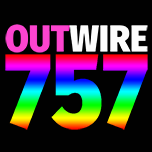 Information provided is not verified nor regulated by Outwire757.com. They are provided here without guarantee or warranty of any kind, either expressed or implied. In no event shall we be liable for any damages including, but not limited to, direct, indirect, special, incidental or consequential damages or other losses arising out of the use of this information or patronization of these businesses, organizations, or individuals.